Somebody got hold of a copy of the novel and the expectation was so great that we decided that one of us would read while the others continued to sew tobacco leaves. We all agreed to do the work of our chosen reader, who kept us in suspense with the vicissitudes of the many generations of the Buendía family. Thanks to this unique book, we discovered that literature and writers could also come from Latin America. This first experience led us to pursue and eventually enjoy the writings of Julio Cortázar, Mario Vargas Llosa, Carlos Fuentes, Mario Benedetti and we even pored over the works of Alejo Carpentier who, despite being Cuban, did not count as one of our favorites. We would come to memorize that unforgettable first paragraph: “Many years later, as he faced the firing squad, Colonel Aureliano Buendía was to remember that distant afternoon when his father took him to discover ice …” and García Márquez taught us that Latin American reality could be told through fantasy and magic, but in an everyday manner. We began to identify legends and characters with such an objective level of lived references that it seemed that the Colombian writer was with us, accompanying us in our lives. We thought it was impossible to surpass such precise likelihood filled with so many fantastic ingredients, without seeming literary fiction but just one of those stories told by grandmothers. 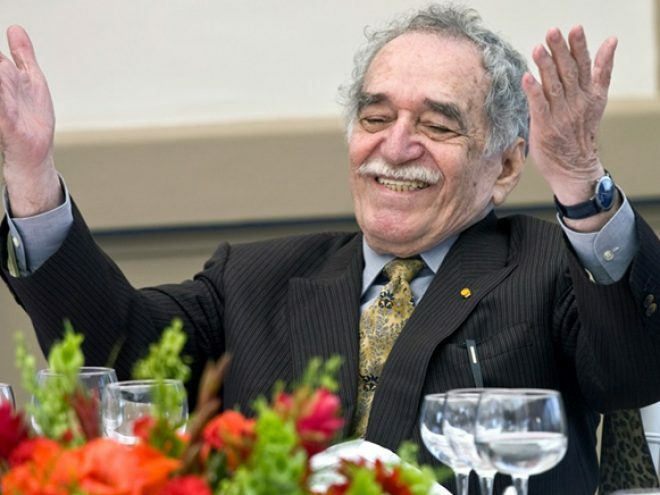 I looked for other books written by García Márquez and I read his novellas No One Writes to the Colonel and Leaf Storm, his novel Evil Hour and the Macondo narratives Litter and Evil Hour. I enjoyed the suspense, the unsurpassed description, the humor and rawness of Chronicle of a Death Foretold. I participated in the debate over the controversial, historical novel The General in His Labyrinth, which surprised and even offended many people because it demystified Bolivar, a hero that the official story had removed from the category of ordinary people. And I was moved by the The Autumn of the Patriarch, afable on the solitude of power. The then young journalist Gabriel García Márquez arrived on the island after the triumph of the Revolution to work in the newly created news agency Prensa Latina. Here he met Fidel and Che, and has stated that his relationship with the Cuban leader was largely based on discussions about literature, that it was an “intellectual friendship.” It is clear, however, that his friendship with Fidel went beyond cultural interests and was based on common ethical principles and political sympathies, to the point of having experienced, not many years ago, the exciting and strange adventure of being a sort of liaison between Fidel and President Bill Clinton in super-secret dealings. The Colombian novelist, who was also a lover of film, was a key contributor to the creation of the International Film School of San Antonio de los Baños and to the Foundation of New Latin American Cinema, not only with his influence and convening power, but with his direct involvement, having taught courses on script writing at the school. His relationship with Cuba was not limited to cultural institutions, such as ICAIC and Casa de las Americas. He was friends with intellectuals, artists and people from all walks of life who started calling him Gabo quite naturally, like his closest friends. Although Gabriel García Márquez’s end was a “death foretold,” it took me by surprise and I was saddened as if I had lost a family member. Selfishly, I thought: “No longer will I be able to wait eagerly for a new book written by him.” But I take comfort in knowing that every time I reread any of his books, there will be new discoveries in store for me and I will experience once again those youthful days when in a tobacco house, one remote afternoon, Gabo took me to discover Latin American literature. January 2015 This article formed part of the January 2014 issue of What’s On Havana The definitive monthly travel & culture guide to Havana Download our current issue of What’s On Havana, your definitive travel, culture and entertainment guide for all things happening in Havana, Cuba’s bustling and enigmatic capital city. We include features from around Cuba written by the best international travel writers covering Cuba. Our monthly online digital magazine is also available in Spanish and French.